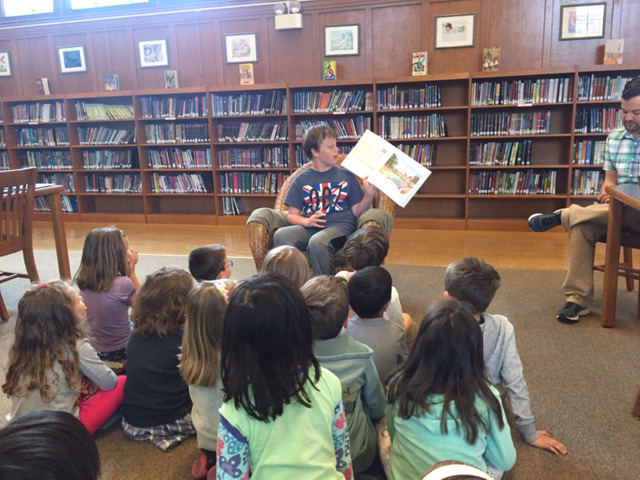 Fifth-graders Anders Pers (in Ms. Warda’s class) and John Sullivan (in Ms. Battiest’s class) recently stepped into the shoes of Ms. Kathleen and Ms. Ettinger to become librarians for a day after winning the opportunity during this year’s Spring Auction. Anders and John read to younger students, who sat in rapt attention. Great work, Anders and John! Anders Pers keeps younger students engaged while serving as a Librarian for a Day. 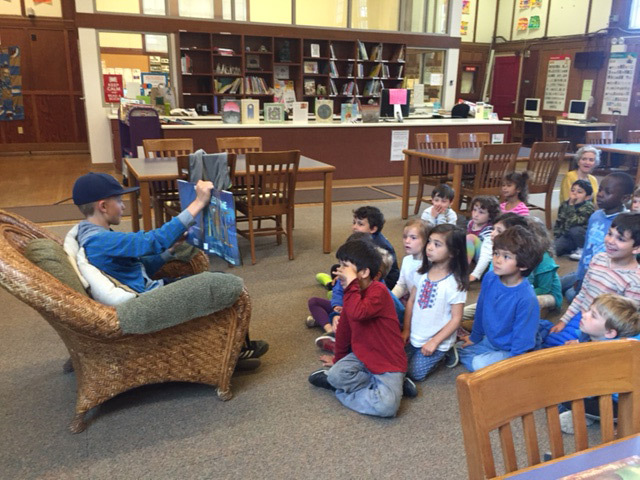 Librarian for a Day John Sullivan sits in the big chair to read a story to Mr. Nagatani’s class.